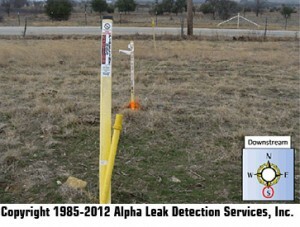 External Corrosion Direct Assessment (ECDA) - Alpha Pipeline Integrity Services, Inc.
Home » External Corrosion Direct Assessment (ECDA) - Alpha Pipeline Integrity Services, Inc.
Below is an example of how Alpha implements ECDA on a various pipeline. The Pre-Assessment starts with a detailed Right-of-Way inspection. All details are noted (CP Readings, ROW conditions, AOCs) including areas in which ROW maintenance is required as well as where it is in excellent condition. 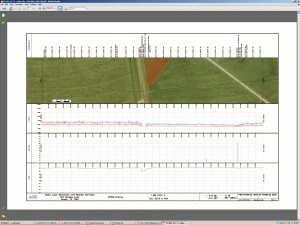 The latest software is used to align the data and present it with aerial imagery. 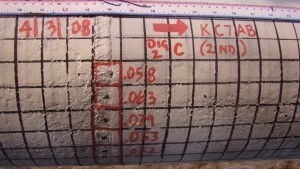 After data has been collected and plotted, engineers examine the data by using various tools to decide which defects fit the criteria for verification. By overlaying the CIS data with the DCVG data, a more robust and accurate ECDA plan can be developed. 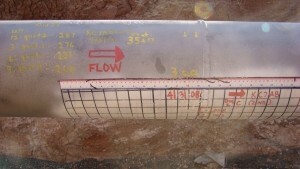 By using a combined Flow/Elevation Model, a more robust and accurate ICDA plan can be developed. 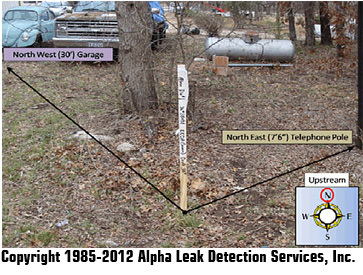 Once the dig plan has been established and digs identified, technicians using Sub‐Meter GPS equipment return to the pipeline and stake the exact sites. 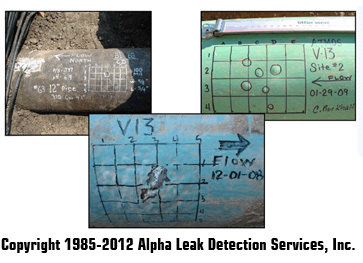 Technicians locate and document the defect found the Indirect Surveys by using Surveys. The appropriate calculations are generated and repair calls are made. Once completed, all data is processed by Alpha’s engineers with the final report and recommendations completed and delivered to the customer. Click here to discuss your needs with a qualified Alpha associate.